Ready to clean out your garage, make space in the guest room, or just rid your house of all junk you’ve been collecting? Team Clean and Haul makes junk removal easy. As the premier Phoenix junk removal company, we will haul your clutter and debris and let you get your space back. Don’t get overwhelmed by the junk taking space in your home or garage. 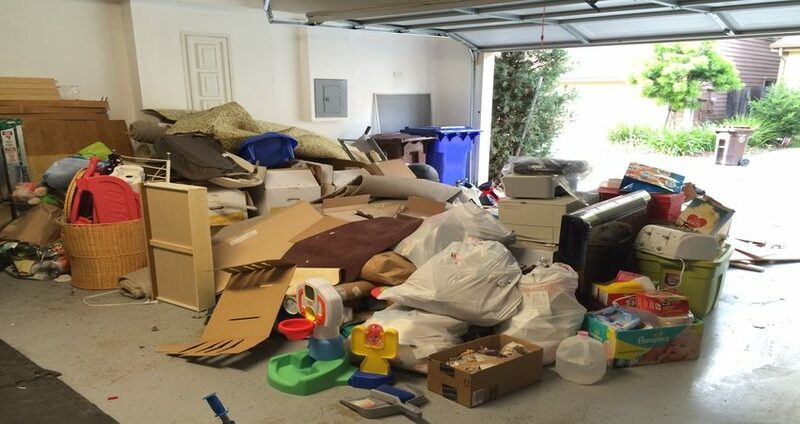 Whether you’re doing some spring cleaning, clearing out a loved ones home, or just trying to make some room in your garage, Team Clean and Haul has a team of junk removal experts ready to create space in your Phoenix home. With quick response times, top-of-the-line customer service, competitive pricing, and friendly professionals, we’ll make sure your junk removal process is as easy as possible. No junk removal job is too big or too small. Call Team Clean and Haul today and let us handle your junk removal project. Team Clean and Haul offers full service junk removal to homeowners, businesses and industrial customers. Let us do all the lifting and loading for you! We’ve got the right equipment for the job. For smaller loads of less than 10 cubic yards, we’ll utilize a trailer or small dumpster to load up the debris. For larger loads and heavy materials, like concrete and dirt, we will utilize a skid steer for loading. We can handle any size cleanup project ranging from picking up a mattress or kitchen appliance, to full scale foreclosure clean-outs or commercial real estate junk removal jobs.